Tired of searching for a low-cal ranch dressing that tastes halfway decent? Look no further! 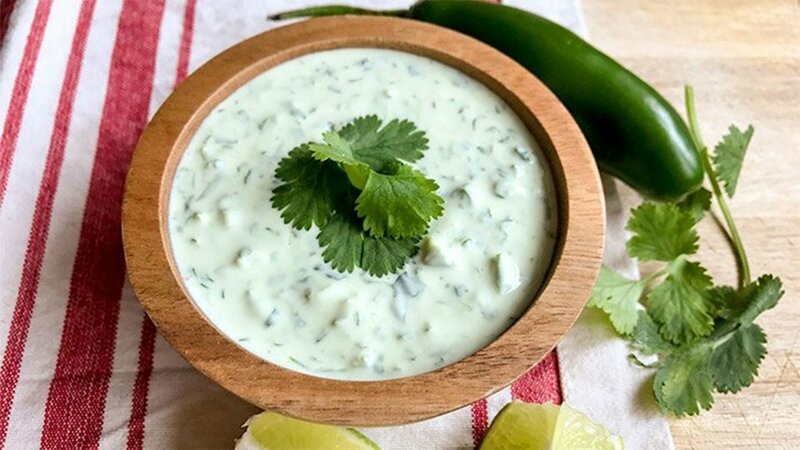 This creamy dressing adds Mexican flare to salads, wraps, loaded baked potatoes, and more. It even makes an incredible marinade for chicken! Strain off excess liquid from Greek yogurt and add to blender along with remaining ingredients. Optional ingredient: Dry ranch dressing mix, 2-3 tbsp.